This re-mastered 6 CD clamshell box set celebrates the vision and genius of Ian Carr and all the musicians associated with Nucleus During the period the band recorded its most influential work. “Torrid Zone” features an illustrated booklet with an essay by writer Sid Smith and is a fine tribute an innovative force in British jazz. Esoteric Recordings are proud to announce the release of a newly re-mastered 6CD clamshell boxed set anthology featuring all the recordings released by Vertigo Records by the legendary jazz-rock group Nucleus and their founder Ian Carr. 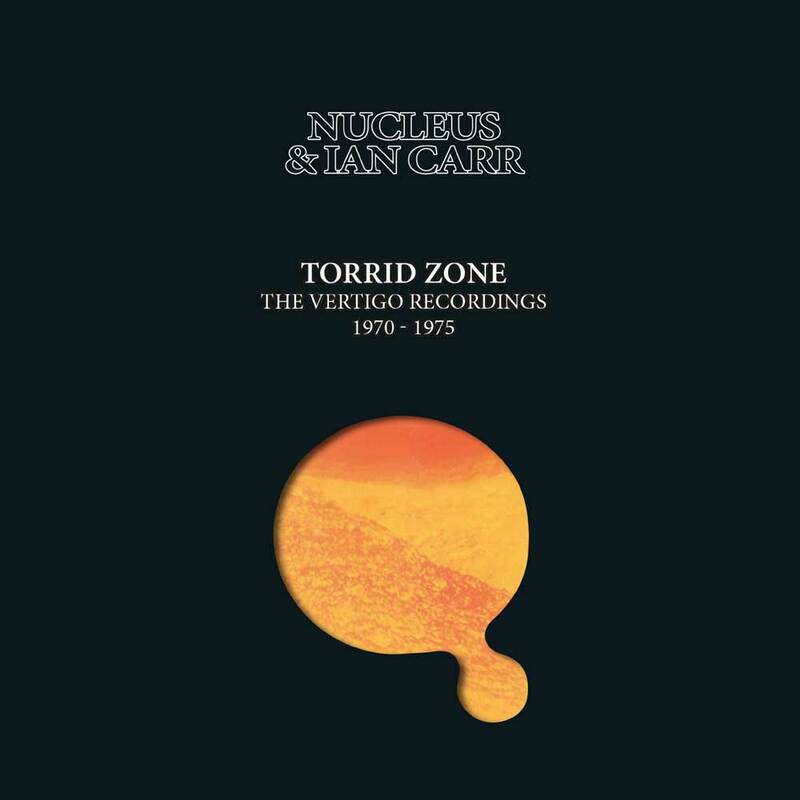 “Torrid Zone – The Vertigo Recordings 1970 – 1975” features every track from the highly celebrated albums “Elastic Rock”, “We’ll Talk About It Later”, “Solar Plexus”, “Belladonna”, “Labyrinth”, “Roots”, “Under The Sun”, “Snakehips Etcetera” & “Alleycat”, all newly re-mastered from the original Vertigo master tapes. The trumpeter and flugelhorn player Ian Carr was one of the most respected musicians of his era, a true pioneer who saw the potential in fusing the worlds of jazz with some of rock music’s sensibilities. Tiring of the current forms in British jazz, Carr formed Nucleus in 1969, around the same time as Tony Williams was pursuing new paths with his band Lifetime and Miles Davis was experimenting on the album In a Silent Way. With saxophonist and keyboard player Karl Jenkins, drummer John Marshall, saxophonist Brian Smith, bassist Jeff Clyne and guitarist Chris Spedding, the first line-up of Nucleus signed to Vertigo records in late 1969 and recorded the ground-breaking album “Elastic Rock” in January 1970. The original album liner note stated the aims of the band thus; ‘Nucleus is just what the word implies – a small, tightly knit group of musicians. We’re all closely involved with each other musically, and some of us have played together in different contexts before, but this is the first time we’ve met to try and realise our common musical ideals. We see music as a continuous process and have tried to express this on the album. 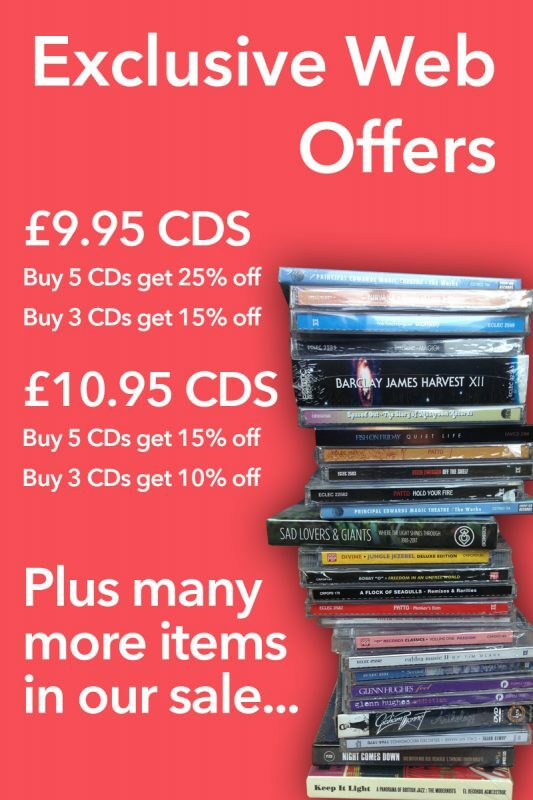 We mean continuous not simply in the physical sense of non-stop sets, but in the general sense that we don’t recognise rigid boundaries, but try to use our total musical experience, whatever it may be’. “Elastic Rock” received praise from both jazz and rock critics and was followed early the following year by the equally innovative album “We’ll Talk About It Later”. The album “Solar Plexus” (also issued in 1971) was credited to Ian Carr & Nucleus and was the last album to feature the original band members. Karl Jenkins and John Marshall would soon join Soft Machine, another innovative group. Following the solo album “Belladonna” (1972), which featured contributions from guitarist Allan Holdsworth, Ian Carr formed a new line up of Nucleus (including among others bassist Roy Babbington, drummer Clive Thacker, keyboard player Dave MacRae and saxophonist Brian Smith who had appeared on “Belladonna”) to record the impressive “Labyrinth” in 1973. Over the next two years and on the albums “Roots”, “Under the Sun”, “Snakehips Etcetera” and “Alleycat” the line-up of Nucleus would fluctuate, but Carr would continue to guide a group of innovative and skilled musicians, creating albums that took jazz to new levels of creativity.